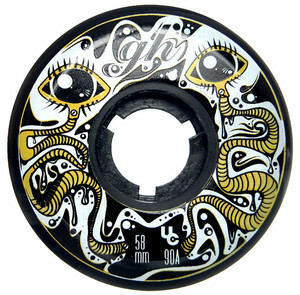 The GRINDHOUSE High-Quality wheels are made in cooperation with UNDERCOVER, USA and offer only best quality. 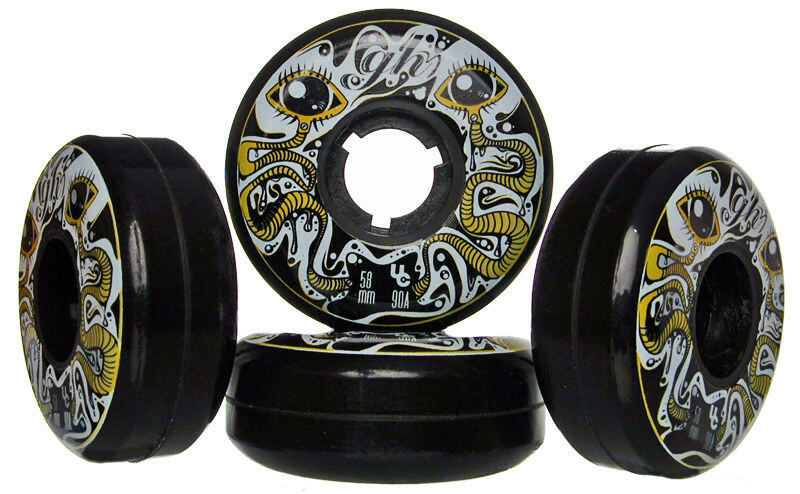 The GRINDHOUSE "Organic Eyes" wheel comes in 58mm/90A and due to using the special urethane by UDC the wheel offers long durability. The classic profile and the hardness of 90A makes the wheel extremely fast by having perfect grip at the same time. 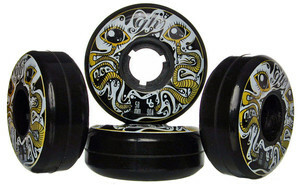 What you should know about wheels in general!